MEGA 2016 Ones To Watch! This is a must-read for gaming fans! Wowsers! Two of cinema’s greatest superheroes go head-to-head in this amazing movie! 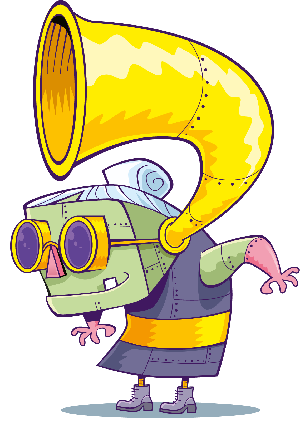 Start popping that corn in time for 25 March! MEGA’s Big Fat End-Of-Year Quiz! Skylanders Battlecast is due for release in 2016 and it looks AWESOME! Bring collectable Skylanders character cards to life and have epic battles on your tablet! Bale, Ronaldo and Rooney will all be gunning for glory at the European Championships in France this summer. It’s gonna be a fantastic feast of footy! It’ll be a carnival atmosphere in Rio, Brazil, as the world’s greatest athletes come together to run, hop, skip and jump into the record books! The LEGO Marvel Avengers game will be released at the end of January and it looks amazing! Show Loki and Ultron who’s boss with a button-bashing Hulk smash! If you like this then you should definitely check out MEGA! If you like gaming, cartoons, movies and more, then you’ll love MEGA! 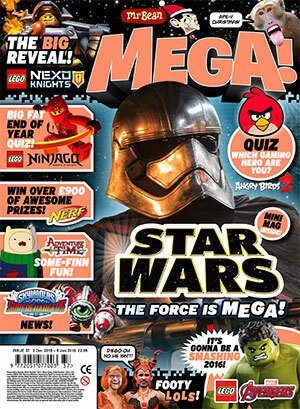 You can get your copy of MEGA in shops now! Click here to go to the MEGA website! Check out these other great MEGA stories!